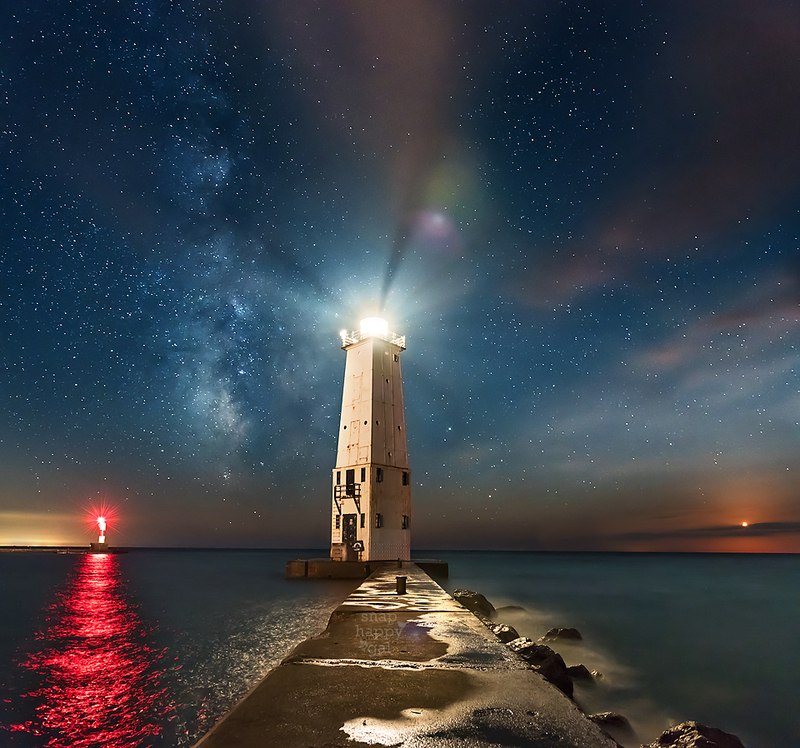 The lighthouse in Frankfort Michigan lights up a hazy sky under a sky full of glittering stars, the Milky Way, and a setting moon. Want to hang this photo in your home? A brief price list can be found here. Contact us, and we’ll get right with you!